as required. Equality holds only when $a=b=c=d,\;$ i.e., when $ABCD\;$ is a square. 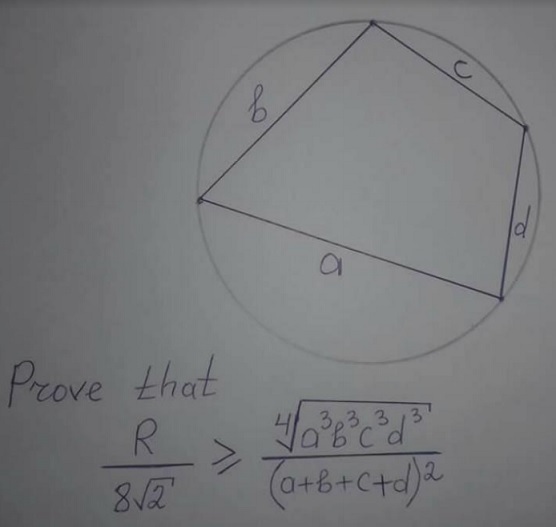 The problem, due to Adil Abdullayev, has appeared at the mathematical inequalities facebook group and was communicated to me, with the above solution, by Leo Giugiuc.